Part two in a three-part series. Last week, I wrote about Leadership Culture and how we define and illustrate it. Specifically, I introduced the importance of identifying your leadership values. Today, I want to pick up where I left off, and talk more about the second component of culture: Narrative. As a refresher, let me remind you how we got on the subject. Too often, leaders talk about trouble they experience in raising up leaders, not just practitioners or people to get things done. True leaders. Interestingly, however, they don’t have an answer for how the go about developing leaders. I get it. It’s not easy. And when you don’t have an intentional leadership culture, it’s even harder. 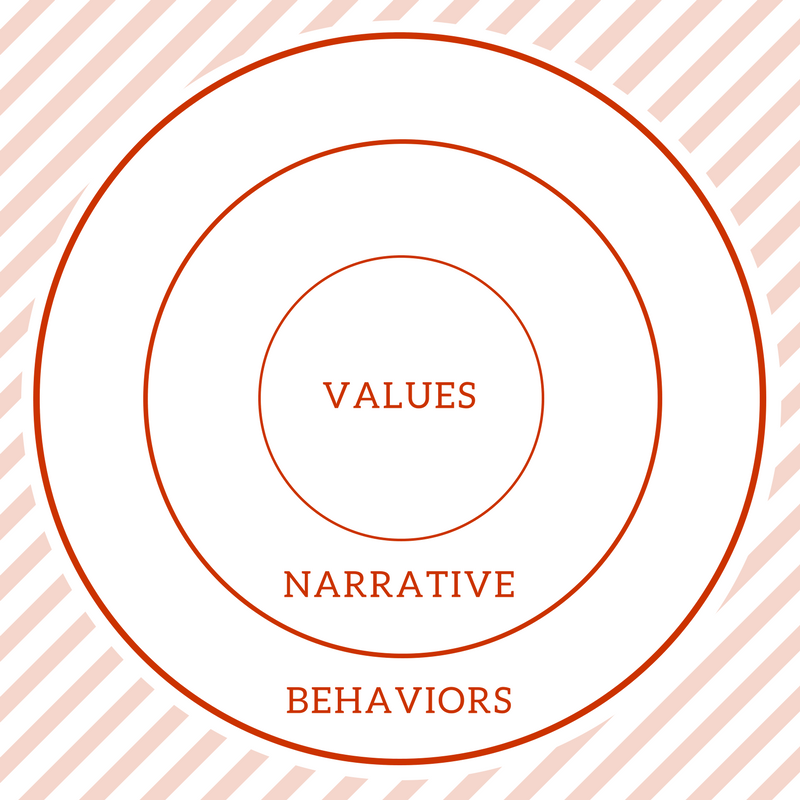 In this second piece on leadership culture, let’s discuss the theme of Narrative – what you say and the stories you tell that support your Values (please read or re-read Leadership Culture 101 – Values to refresh yourself about Leadership Culture). The second component of in our definition of Leadership Culture is Narrative – the way we talk about and consistently communicate about our Values. The first is simply the language we use to communicate the values we hold. I’m referring to both written and verbal communication. This requires discipline. You must make intentional choices of the language you use and exercise consistency in how you use it. How you describe your values must be understood to increase the odds of people embracing and engaging with them. This may seem obvious, but if you don’t stop and write down the exact words you want to use, share them across all areas of your organization and define how to use them, you may find people searching for their own language to describe your values. Once this occurs, there won’t be consistency, and you’ll see increased confusion around how people perceive your values. Do the people you lead understand what is most important? Unfortunately, many organizations can’t say definitively “yes!”. They are filled with mixed messages and a lot of confusion. Narrative is the natural description of who we are and what we value. The stories people tell about the actions we take should always be aligned with our Values. They don’t just describe who we are. These stories are the living embodiment of who we are. Are you telling the right stories? Next week, I’ll talk the third circle – Behaviors. After that, I’ll share an assessment tool you can use to assess your own leadership culture. How well do your stories match up with your values? Let’s get started now to align your values and narrative. In the meantime, tell me … what are the stories you tell? Do they truly describe your values? What are the stories others tell about who you are? Let me know in the discussion below.